Venture out of the city with trips to Sea World Theme Park (in Main Beach), Warner Bros. Movie World (in Oxenford) and Slideways - Go Karting Gold Coast (in Nerang). Pack the 15th (Fri) with family-friendly diversions at Dreamworld. There's lots more to do: let the kids burn off some steam at South Bank Parklands, admire all the interesting features of Suncorp Stadium, learn about wildlife with up-close encounters at Australia Zoo, and admire the natural beauty at City Botanic Gardens. 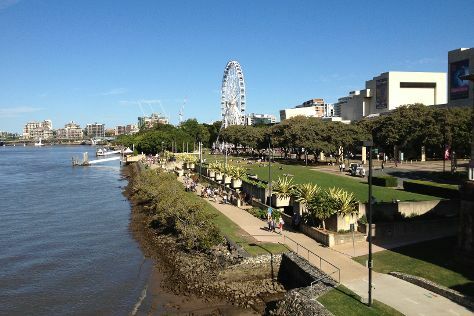 To find more things to do, other places to visit, photos, and more tourist information, read Brisbane road trip planner. In March in Brisbane, expect temperatures between 32°C during the day and 23°C at night. Wrap up your sightseeing on the 15th (Fri) to allow time to travel back home.